Our very own Aja has been looking forward to celebrating the end of the school year for a while now. One of the things planned was a BBQ and that seemed to be something they looked forward to having heard the cook is top notch. Well, if the man's cooking is as good as his smoker is cool, those folks are having quite a BBQ. Check out the picture that was sent over of the smoker/grill. It's a Trike! New style and colors at RiderInfo. We hope you like the new logo at the top of the forum and the new colors for the site layout and design. After some time we though we should update things a bit. As aways, we are glad you visit riderinfo and hope you come by often. If you are a member, thanks for your support. If you are not a member, why not join today? Tell your friends to join too and let's stay connected on where to ride and what bands are playing. on Tuesday, July 21, 2009, Tom Haugen, a local motorcycle rider most of us at Riderinfo know, and his wife were in a wreck in Leesburg. Sadly, Tom lost his life and his wife is hospitalized in Orlando recovering from very serious injuries. Godspeed, Toni. We hope you heal up quickly and completely. Rest in Peace, Tom. We will miss you. Ride safe out there folks. For the best and worst hand of poker on the Veterans Awareness Poker Run - Sat. 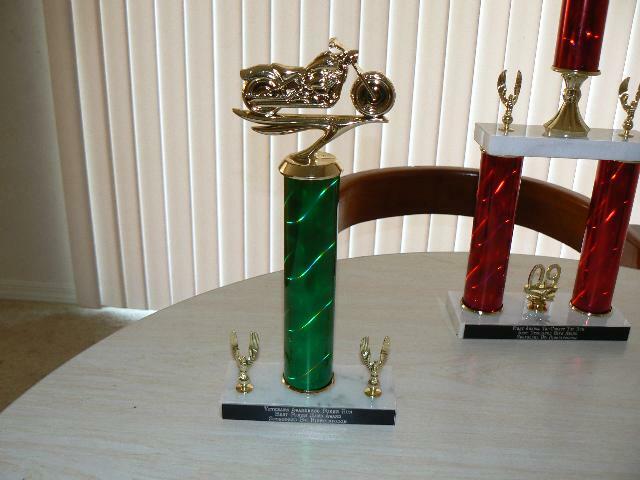 July 25, 2009 Riderinfo.com is proud to have provided these trophies as awards. We hope see you win one while riding with us Saturday. 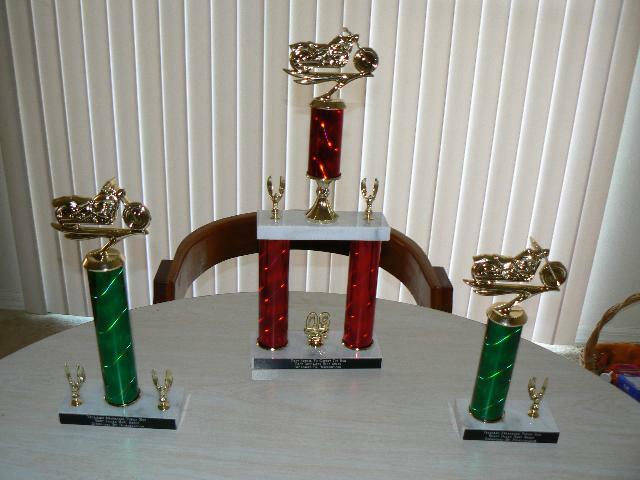 The green trophies are for July 25th. The red one you will find out about on July 25th.